Q. Who does our furniture go to? A. Our clients are low-income families and individuals, primarily in Benton and Linn Counties, Oregon, who have been referred to us by a qualified service provider. Become an Annual or Monthly Donor! Furniture Share has a very small budget, and a growing number of clients so every dollar donated makes a big financial impact. Our Goal is to gain 400 new $20 Monthly Donors this year, guaranteeing service to 1,600 clients a year! Volunteer your time. We rely on volunteers to help us pick up and distribute furniture, organize the warehouse, run events, and help out in the office. Help spread the word! Follow us on Facebook & Tell your friends about Furniture Share. Invite us to make a presentation at your business or service group. Organize your co-workers for a team-building community service project. Groups from businesses or other organizations are needed to provide pick-up and delivery on a regular basis. Volunteers are needed to make furniture repairs. Do you have a talent or skill you would like to put to use for an organization like us? 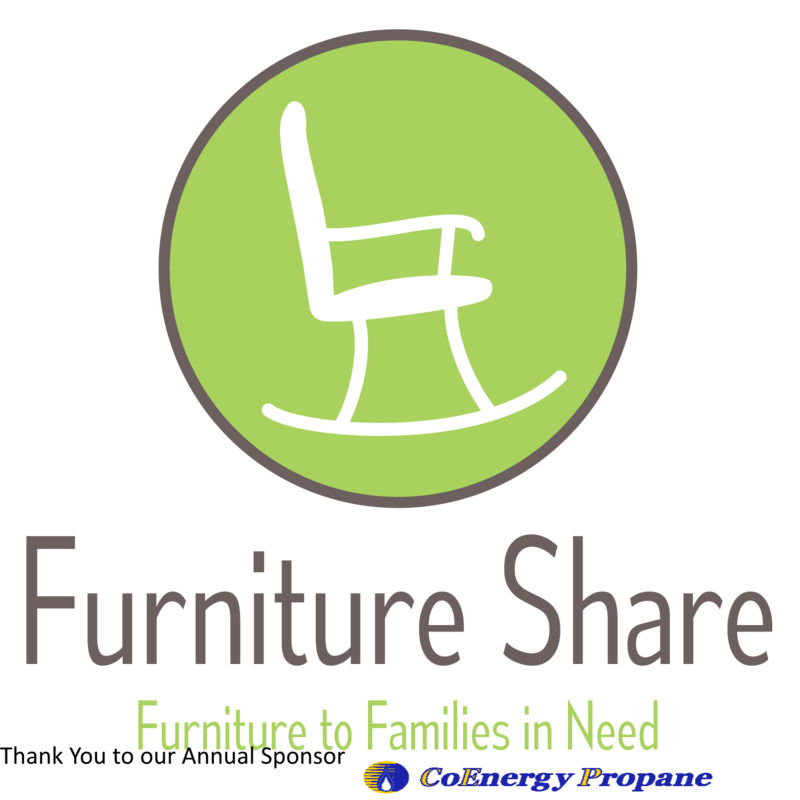 Email us @ community.outreach@furnitureshare.org. Q. Why didn’t you accept an item I brought in to donate? A. We have a limited amount of warehouse space, few employees, and no money available to repair or clean items that are donated. We can not accept items that are too heavy for one or two people to lift, to large to fit in the average space our clients have available, or are in need of repairs or maintenance before they can be placed in a home. Furthermore, while we love to keep items out of the landfill, we don’t believe that our clients should be asked to live with damaged or soiled items. Additionally, we are required to meet current safety standards when distributing items intended for children or for homes with children. Q. What items can help your clients the most? A. Any furniture and household items useful to an individual and/or family who is starting over: (mattresses, bed frames, chairs, tables, dressers, couches, blankets, linens, pots and pans, silverware, and small appliances.) Our most commonly distributed and needed items are beds, small dressers, small kitchen tables with chairs, and couches.